There are mainly two types of drinking water filter in the market, countertop and underSink water filter system. The usual question that was asked is which system is better? In my opinion, it is all depends on the functionality of the system..
No matter it is a countertop or a under sink water filter system, the functionality makes it stand out from it’s competitor. However, there are still some major difference between the two. Let’s check it out. Pros + Usually compact and small in size. + Portable and affordable price. + Very easy installation, no drilling required. Complete in minutes. + Comprehensive filtration system with multistage filters. + Non visible in the kitchen make it clean and tidy. + Capable to to remove most of the water contamination. - External pipe and canister exposed in the kitchen. - Expensive initial and annual maintenance cost. - Complicated installation which required drilling. Although most of the systems in countertop water filters are simple and inexpensive, there are some systems such as the ionized alkaline system and the countertop reverse osmosis system can compete with the comprehensive under sink water filter system. Countertop ionized alkaline system can be very expensive. 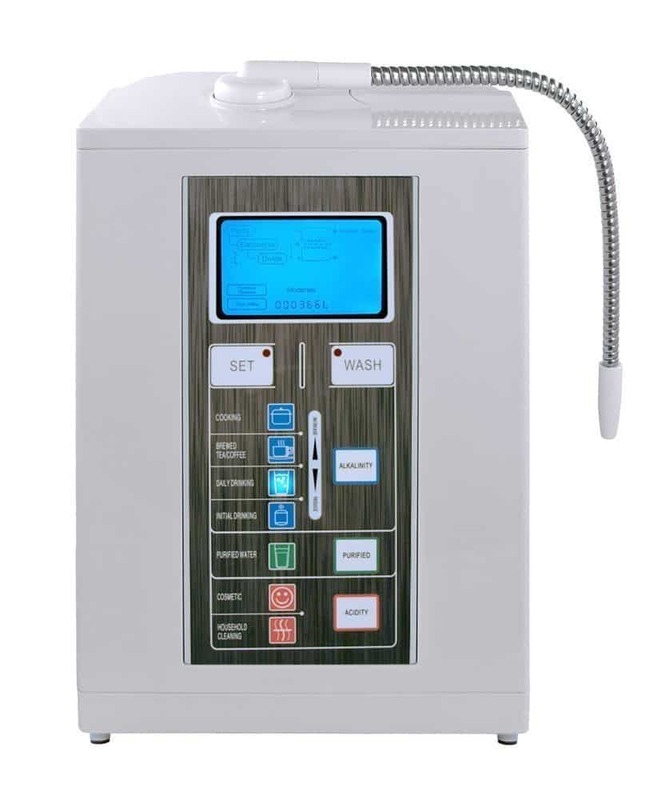 Kangen is the most popular brands for counter top ionized alkaline water system. However, it cost more than $3000 to own a Kangen Ionized water system. The main reason for the high price tag is due to the sales comes from multi-level marketing. The sales person pockets a huge portion of the profit for every sales that is made. Despite the overpriced water ionizer, there are still some affordable ones in the market. All the Ionizer alkaline water system from Air Water Life is direct from factory instead of through MLM. It cuts off the middleman and give the consumer a better bargain. Like other ionizer, the Air Water Life Aqua-Ionizer Deluxe 7.0 is able to produce water with different pH ranging from 4.5 to 11. Apart from that, the ionized alkaline water is able to product -800 oxidation-reduction potential (ORP). A negative ORP means that it is an anti-oxidizing agent. The negative ORP helps to reduce harmful free radical in our body by donating extra electron in our body. In addition, it comes with a self cleaning mechanism embedded in the system which it performs every 40 liters of water generated from the system. With a fraction of the price, you can own a great water ionizer. Besides water ionizer, counter top reverse osmosis is able to provide a clean drinking water for your family. The APEC RO-CTOP is one of the few counter top reverse osmosis water filter system available in town. The functionality is almost the same as a normal under sink reverse osmosis water filter system. The APEC RO-CTOP uses a high capacity filters that is often equate to the APEC RO-90. With a 4 stage filter, the flow rate is standing at 90GPD. With this high flow rate, APEC can get rid of the bulky storage tank from it’s counter top system to save space in your kitchen. Installation couldn’t be easier with this model. Just simply hook on the faucet connector and using the “Quick Connect” connectors to connect the tubings. It is extremely portable that you literally can remove it in a minute and bring it over to your new home. 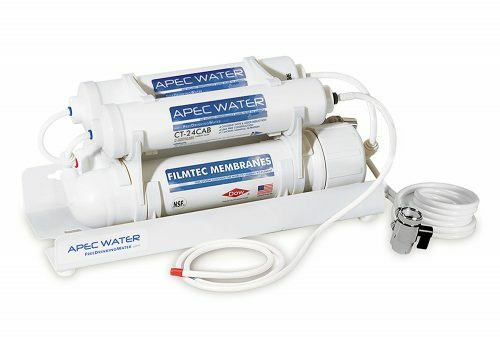 APEC has a long history of creating excellent reverse osmosis water filter system. Their long lifespan filters is about a year a new replacement is needed. Although the price of APEC RO-CTOP is slightly higher than other counter top water filter system, but the quality is on-par with most of the under sink reverse osmosis water filter system in town. Hit the button below to check out the latest discount on the APEC RO-CTOP. 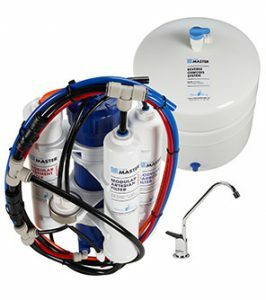 Under sink water filter system has been well known it’s ability to removed up to 99% of water contamination. 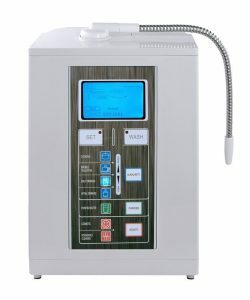 Although it is slightly expensive than the conventional counter top water filter system, it is just a fraction of the price of the water ionizer. 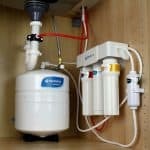 Below are a few of the great under sink water filters in the market. Home Master TMAFC is always our top choice for it’s quality, innovative technology and reasonable cost. It consists of 4 main differences which distinguished it from other brands. Modern Design: Ditch the old canister casing for a more hygiene and leak free. Bigger Flow: Increase the flow rate with the Fast Flow RO! Kit on a bigger tubing. Simple Connection: Push-in tubes for easy replacements on filters instead of opening with wrench. Remineralization: Patented Full Contact remineralized flow introduced good mineral TWICE in the system. The Home Master TMAFC is by far received the highest review rating among all the under sink water filter system. The filtered water is slightly alkaline (pH 7-8) which helps to neutralize the acidic food that we take. It comes with a 5 year warranty on this system and the annual maintenance cost is less than $100. Check out for our detail report on the Home Master TMAFC. 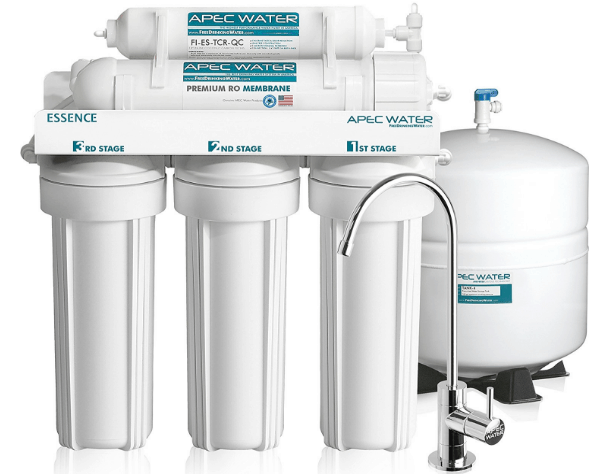 APEC’s best seller model, the ROES-50 is the entry model of reverse osmosis water filter system. 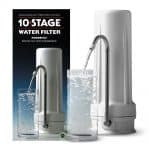 It is a 5 stage under sink water filter system with great filtration technology at an affordable price. The reason lies on the quality of its filters. Compare to the other systems such as iSpring RCC7, APEC ROES-50 is able to handle twice the volume of water before a replacement is needed. Furthermore, it can handle twice the total dissolved solid as compared to iSpring RCC7. As such, the annual maintenance cost for APEC ROES-50 is the lowest among all it’s competitors. Did we mentioned that the systems is fully designed, manufacture and assemble in the US? Check out the detailed review on the APEC ROES-50 now. Home Master TMHP HydroPerfection can be classified as best of the top tier under sink water filter system. It consists of all the great features and technology in drinking water filtration system. All of the top tier drinking water filter systems are designed to handle harsh conditions of the well water. Well waters are highly contaminated and mostly untreated when entering the house. The Home Master TMHP HydroPerfection equipped with an iron filter, UV sterilizer and permeate pump to coupe with the well water source. Unlike the city water which are treated, well water contained dangerous microorganism and virus. With the UV sterilizer, it eliminates the microorganism by altering the DNA. Waste water is always a headache for all reverse osmosis system. Some systems waste up to 5 gallons of water in order to produce a gallon of clean water. The Home Master TMHP comes with a non-electric permeate pump which will reduce up to 80% of waste water which is a great achievement for reverse osmosis filter system. In addition, all the 4 distinguished features from Home Master TMAFC is also available in the TMHP HydroPerfection. Although it is slightly expensive, it is undoubtedly the best top tier well water under sink drinking water filter system in the industry. Check out our detail review on the Home Master TMHP HydroPerfection. Under sink water filter systems have more choices as compare to counter top systems. However, the installation process is not that straight forward. Which one is more suitable for your house? Wow plenty of very useful information here and quite a choice to make. Like the way in which you have given the pro’s and con’s of the various installations which of course allows your readers to make an informed decision. We have just had a water softener installed. Changed the taste of the water. Do the water purifiers do the same thing ? And my other question is whether the table-top purifier really does do it’s job or is it the poor cousin to those that are installed. A great and very informative article which was very professionally set out. It depends on the which type of counter top water filter. The APEC reverse osmosis counter top water filter does a great job in filtering contaminants just like the undersink water filters. My personal opinion, go for the under sink water filter system as they are more choices the solution is more comprehensive. Wow, Jay, this article is so informative. Take it from me, some one who knows NOTHING about water filters! Now I feel that I could make an informed decision, just by reading this one particular post! Thanks for sharing your knowledge where this is concerned! You are most welcome. 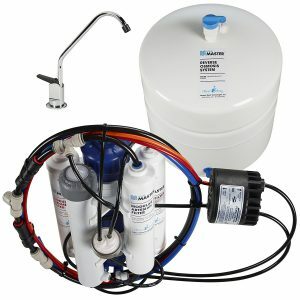 If you are looking for a new undersink water filter system, be sure to check on my previous post on how to select a reverse osmosis water filter system. Lots of information here Jay, I remember when I used to live at home… my parents had the counter top system. I never really thought of it and how necessary it is until I read your post. To be honest, I use Brita filters in my Brita Jug. I know these systems are obviously more advanced, but how does Brita filter compare? Just curious. I would say Brita water pitcher is an entry level for water filter. It will only filter a fraction of the contaminants. 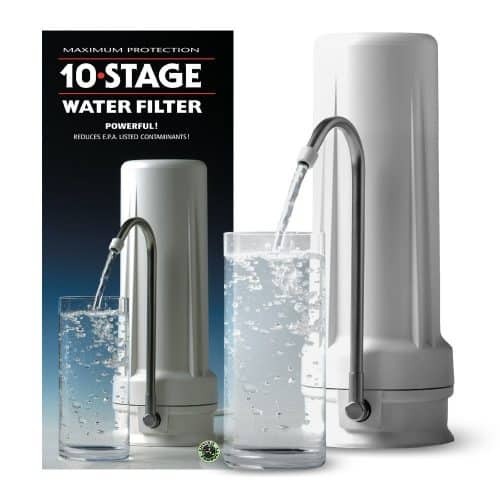 A normal one filter counter top water filter will be the intermediate level of filtration system. The ultimate filtration system is the undersink reverse osmosis water filter system. It removes 99% of all contaminants leaving pure and clean water. Check out on our comparison between various undersink water filter system. Hi Michael, Great question. It depends on how contaminated is your source water. Aqua Ionizer Deluxe 7.0 comes with an activated carbon filter and the ionizer. It is more suitable for city/municipal treated water which mainly reducing chlorine, odor and taste from the water. In this case, you can just install the ionizer and remove the RO system. If you are using well water source, my advice to you is to keep the RO system to get rid of various contaminants before going into the ionizer. This will make sure that your water is clean to consume and the Ionizer will help on adjusting the pH of your filtered water. 1-Under the sink ionizwr , as you say removes 99% of contaminants ; what porcentage will be removed with over the counter ionizer. 2- which one is better : ionizer or reverse osmosis on a city water? Hi Jorge, I think you meant under the sink filter instead of ionizer. As far as I know, there is no under sink ionizer. Regarding contaminants removal, it is actually based on which filtration system that you are referring to. If you are referring to reverse osmosis filter(No matter it is counter top or under sink), it removes 99% of the contaminants. Some of the countertop filters only remove certain contaminants such as chlorine, mercury, lead, fluoride etc. You can refer to this guide on the countertop water filter. For your second question, ionizer is basically changing the pH using electrolysis. It comes with a pre-filter which remove basic contaminants. 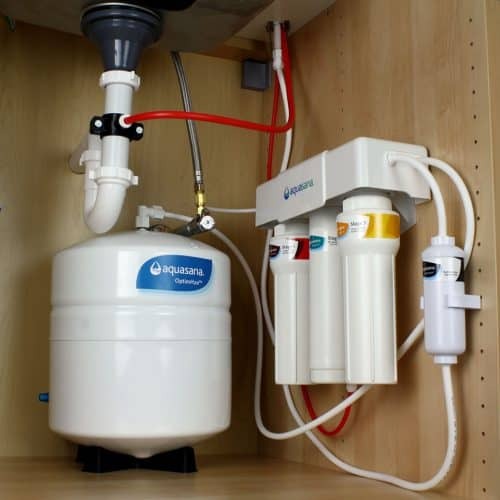 If you want the cleanest filtration system, go for the under sink reverse osmosis system.